The latest series of talks presented by the Irish Architecture Foundation (and supported by Arup) is entitled NEWNOWNEXT, bringing exciting young architects from all over the world to Dublin - some for the first time - to speak about their work. The series kicked off with Jeanne Gang and booked out in no time: keep an eye on the IAF's site for free tickets to hear architect and urban advocate Tatiana Bilbao of Mexico speak about her diverse portfolio of work. If you'd prefer something else on the 18 June, Science Gallery's Urban Knights series of talks from people in Ireland and abroad making changes in cities continues with presentations from John Lynch of the Copenhagen Institute for Interaction Design, founder of Rothar Anne Bodes and others. 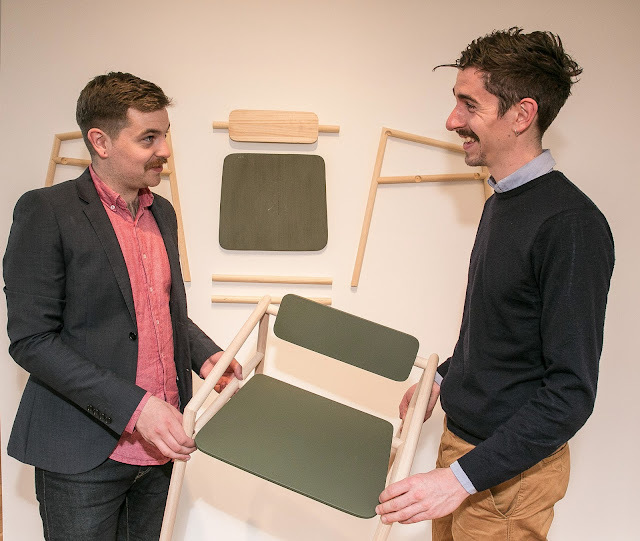 Kilkenny's National Craft Gallery hosts its first IDEATE Design Festival as part of their celebrations of the 50th anniversary of the opening of the Kilkenny Design Workshops. View the full programme here. One such highlight of the IDEATE festival is Making Things Better, an exhibition curated by Ann Mulrooney and featuring the work of Designgoat and Derek Wilson. Designgoat and Wilson have each selected an object from A History of Ireland in 100 Objects (an Eileen Gray chair and an emigrants teapot) and have created new objects inspired by those. The exhibition shows not only the new pieces themselves, but also gives an insight into the design process that took place. In association with the IDI and Design Week 2013 Peroni Nastro Azzuro has launched a nationwide design competition in Ireland. The brief is to design something that enhances the enjoyment of Peroni (but not a bottle or label), it will be judged by Matteo Alessi and the winner receives €2,000. For more information and the competition brief, see the IDI website. Not wanting to be left out in the foremost festival city in the UK (if not the world), Edinburgh's cycling community launches its first Edinburgh Festival of Cycling. Featuring a host of talks and activities (including a presentation by Mikael Colville Andersen of Copenhagenize), the full programme is worth a look. You might remember Foldability from an earlier post here on I Like Local. Designer Kyla McCallum now takes her work to Glasgow's Lighthouse. 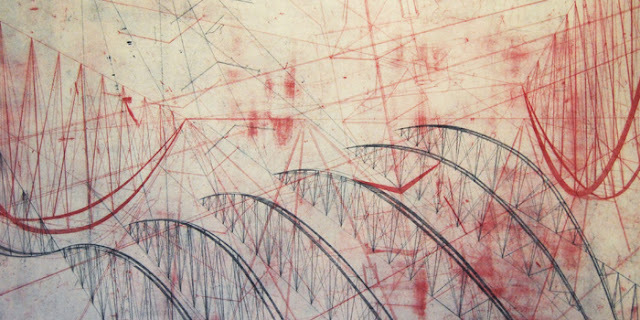 Bronwen Sleigh makes prints, drawings and objects taking inspiration from industrial architecture and infrastructure. Construct is an exhibition showing work from the past three years, including work commissioned by Edinburgh Printmakers.